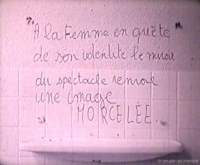 “The glance of the women, one does not know it” wrote Viviane Forrester in 1976. 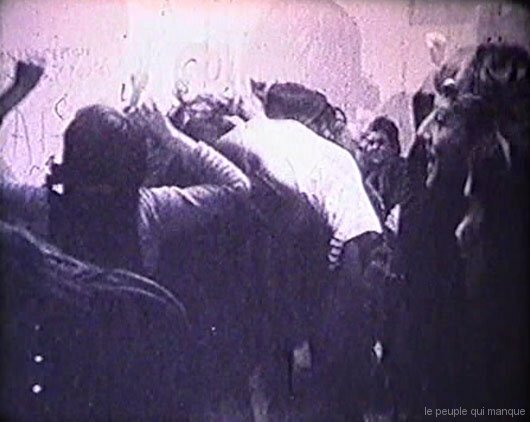 With this first meeting devoted to the pionnières of the cinema of test and experimental feminist French, this cycle opens by the inaugural gesture carried by three directors “to cut out, decipher and invent” the world, exauçant the wish of these years to seek “collectively and individually a female language”. At the same time with the scenario writers and collectives which will film the fights of the women directly, some will try to invent a new way of producing images. 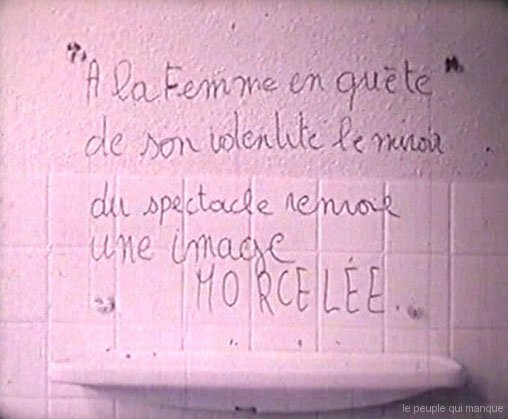 Thus the glance until there far too absent from the women is spread, coming “qualitatively to change words and thoughts, to bring really revolutionary contents” to their films. “(…) I have the desire that women and men change. As beginning with a different beauty” said Danielle Jaeggi then. Curators: Aliocha Imhoff & Kantuta Quiros (with the advise of Helene Fleckinger). 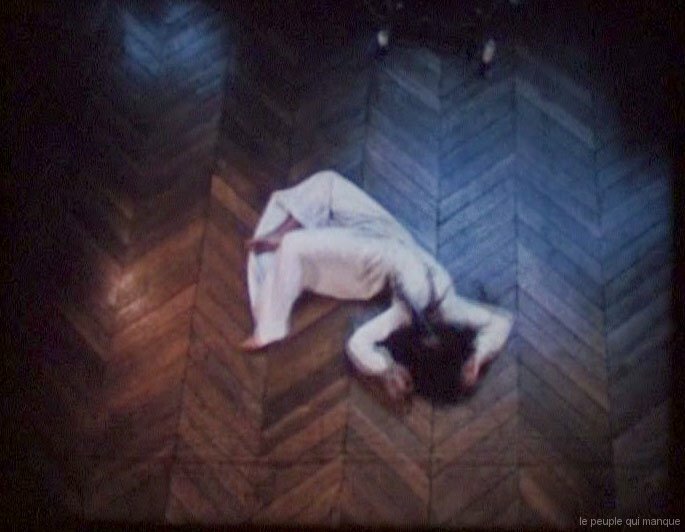 Experimental film on the female body. 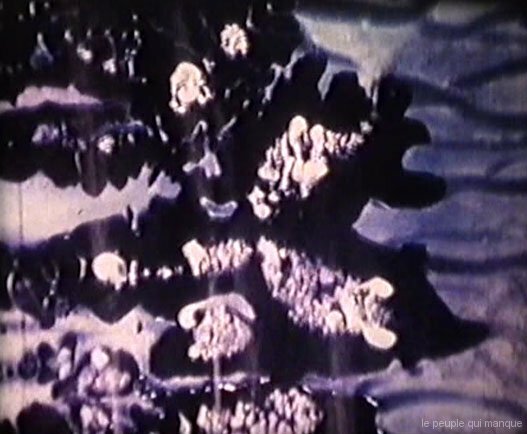 Video collective, lived, filmed and assembled by five women.